Joel has been a client of Taylor’s for many years. 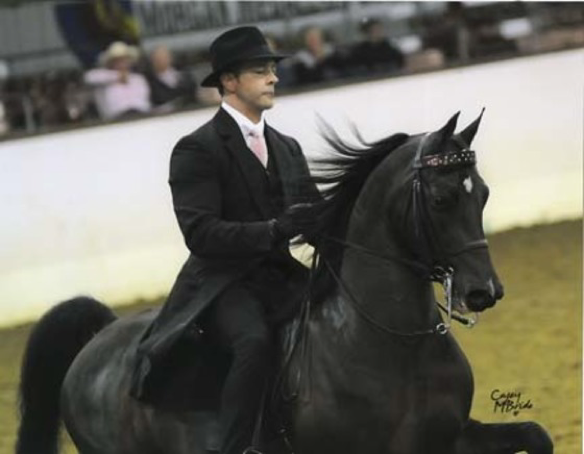 He has seen the benefits of using the Strength Happens method not just in his daily life but in his equestrian career as well. 1. How long have you been doing the SH program and what value has it brought you? Since Taylor Started working at Strength Happens 3 years ago. 2. What does strength happens mean to you, and how do you apply it to your day to day life? Warm up and posture. I never used to do much warm up or stretching, and now that I am older it is really helpful to incorporate a few moves first thing in the morning or taking much-needed computer breaks. Also, in learning proper form while doing weights and movements has made me more aware of proper posture-improving my riding form- and even simple things like standing up from a sitting position without tweaking my lower back. Competitive equestrian events, trial riding, and boogie nights on the dance floor!